Lock in a great price for Casa Losodeli - Adults Only – rated 9.3 by recent guests! The room was spacious and clean. The restaurant serves good breakfast! The property is very nice with lots of places to lounge out. Although we didn't use the pool it looked well kept. Location is good but you will have to walk about 15-20mins to the nearby beaches which is not a bad thing because you get to see more of the town. Roughly 10 minutes walking from the nearest beach; another beach is within a 20 minute walk. Walking the opposite direction (away from the beach), you'll hit lots of street food and an open air market. Breakfast is very simple (bread or fruit + coffee), but it worked for my purposes. The kitchen seemed well equipped. Staff are all super friendly and helpful and most guests take advantage of the communal areas, which fosters quite a social atmosphere. I enjoyed my stay and would recommend this hostel to others. Everything was perfect for what we needed. Quiet, comfortable and clean. Lovely grounds, great staff. Fun mix of younger and older guests. We would stay here again if/when we return to PE. Great employees, great place to travelers alone, the swimming pool is clean and fun. Great place!!! With very kind and lovely owner!!! I really loved the extra help staff gave, the activities put on by the hotel and the excellent breakfasts. I recommend them highly. Every one ! all the staff were so hospitable and helpful. Especially the reception girl . Casa Losodeli - Adults Only This rating is a reflection of how the property compares to the industry standard when it comes to price, facilities and services available. It's based on a self-evaluation by the property. Use this rating to help choose your stay! 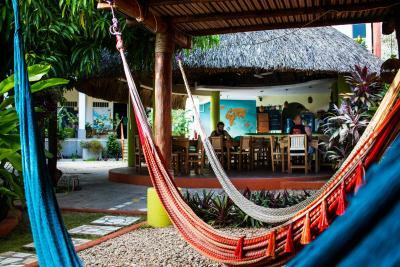 Offering an outdoor pool, Hostal Losodeli is located in the tropical town of Puerto Escondido, just 2,150 feet from the beach. It features 24-hour reception and free Wi-Fi. This property features dormitory rooms with bright colors and a bathroom with a shower and toilet. There is also a modern apartment with a fully equipped kitchen and a flat-screen TV. All rooms have a daily cleaning service. Guests can cook at the shared kitchen, with the town’s Benito Juarez Market located only 0.6 mi away. Bars and restaurants can be found within 1,650 feet. Breakfast is offered from 8:00 to 11:00. The famous Carrizalillo Beach is only 2,300 feet from the property, while guests can reach Chacahua a 40-minute drive. Puerto Escondido’s International Airport is 10-minute drive away. 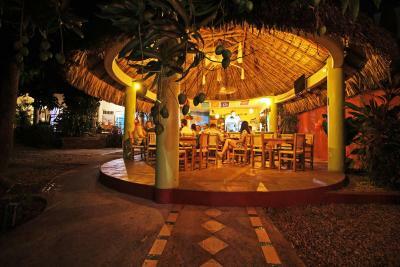 This is our guests' favorite part of Puerto Escondido, according to independent reviews. 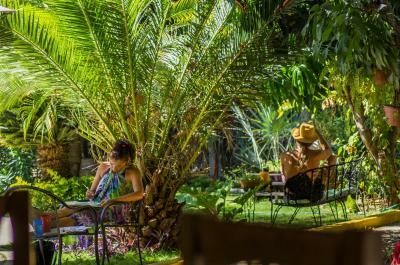 뀐 Located in the top-rated area in Puerto Escondido, this property has an excellent location score of 8.8! When would you like to stay at Casa Losodeli - Adults Only? This air-conditioned room features cable TV, a fan and a wardrobe. There is also a private bathroom with a shower and toilet. Daily cleaning service is included. Spacious accommodations with one queen bed, plasma TV with cable channels, a ceiling fan and air conditioning. The apartment is also fitted with a dining and living room, equipped kitchen that includes a fridge, plus a full bathroom with shower. Daily housekeeping is provided. This shared dormitory room offer a single bed distributed in two bunks beds, ceiling fan, lockers and a full shared bathroom. Daily housekeeping is provided. This shared dormitory room offer a single bed distributed in three single beds, ceiling fan, lockers and a full shared bathroom. Daily housekeeping is provided. House Rules Casa Losodeli - Adults Only takes special requests – add in the next step! Casa Losodeli - Adults Only accepts these cards and reserves the right to temporarily hold an amount prior to arrival. A deposit via bank transfer or PayPal is required to secure your reservation (see Hotel Policies). The property will contact you with instructions after booking. The measurements of the pool are 40 feet by 9.8 feet, and 4.9 feet deep. Breakfast starts at $40 MXN but there are other breakfast options. Hostel is really clean, personel is super nice! Also there are lot od places to reset. The toilets were outside by the pool. Only two showers and two toilets for girls. Setup was a little odd, there was one or no hooks outside the showers but a set of hooks outside the toilets and not much room between toilet door and hooks. I was in a mixte dormitory that had no bathroom... not good when men and women are together . Would need chairs in the room to put our stuff or baggages. And would have appreciate good coffee... But all this didnt’t make my stay bad! The AC in the room didn't work very well, would have preferred a ceiling fan instead. At the reception one staff member wanted to charge me for a towel which I found odd because if there is a pool on site I would assume towels would be provided by the hotel. But then the next day a different staff member didn't charge for the towel, so a bit inconsistent service. No 24hr reception, which forces you to plan ahead arrival and departure times :) Nonetheless, if you wish to go out at night, there's always someone to open the door for you. Value for money, Location (near the two main beaches of Puerto Escondido), several great nearby places to eat, close to the airport as well. They also have special fares for other tours, such as the Bio-luminescence night tour, turtle release, etc. Coffee was not great. (Drip) Lighting for individual bed lighting was not private and not mounted or set. 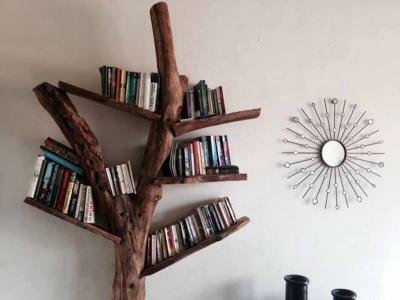 No night table or shelves to set your belongings. Free coffee and toast in morning. The beds were comfy the bathroom was attractive - The staff were exeptional - especially the reception staff - who were so very very helpful and really went out of their way to give us all the information we required. Despite check out being at noon we were offered a safe place to leave our bags - and were encouraged to continue using all the facilities of the hotel - pool gardens etc and also to be able to take a shower before departing in the evening. Amazing Service! The bathroom locks were poor.